Today in Detroit radio what’s old is new again. 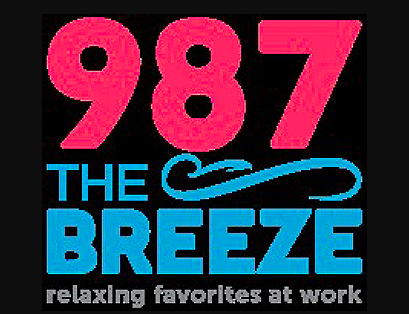 After switching briefly to Christmas music over the weekend, 98.7 AMP Radio has a new moniker and format: “The Breeze.” Parent Entercom is celebrating the move away from Hit to Adult Contemporary music by playing 10,000 songs nonstop. Softer A/C has also been long time staple of the workplace where people want background music that is enjoyable but not too loud or distracting. That can translate into nice ratings, in particular in “time spent listening.” Sans local options, many a workplace has shifted to satellite or MP3 players. Moreover, the format targets an older demographic (largely women 45-54); one that, importantly, grew up with and still listens to traditional, terrestrial music radio. One would also hope that Entercom plans to continue to invest in talented air personalities as they do on their other stations. Live, local and talent-driven really is vital today when music can be conjured up as easily on mobile devices. Interestingly, rival iHeart Media went to a “Breeze” format in two markets today – Philadelphia and Sacramento. In Detroit, now we know where to go for our daily fix of Air Supply and Alicia Keys and everything in between with a catalogue spanning the softer part of the past 50 years. It is certainly worth a nostalgic listen and a radio station to continue to watch for the future.